Me too Daniella, I'm in a big sweater buying mood. Number 6 is the one I bought, so excited to receive it in the post! I think I'll wear it with a white shirt underneath. I <3 all of these!! I'm gonna own the baggy jumper/leggings/wellies look this Autumn!! Did you get your wellies? You'd look so cute in one of these + wellies! 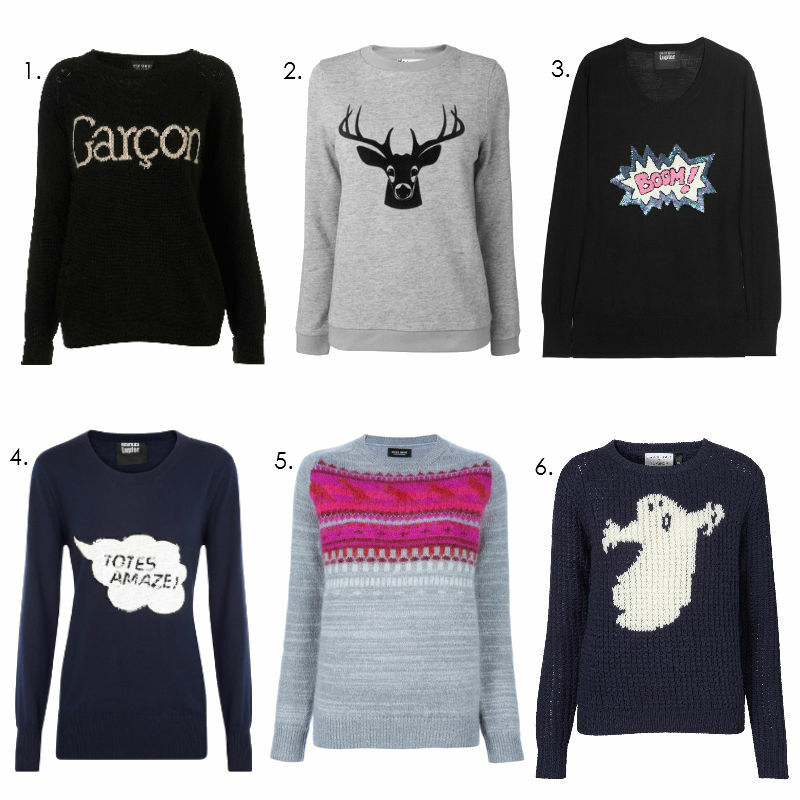 i love the garcon one! !